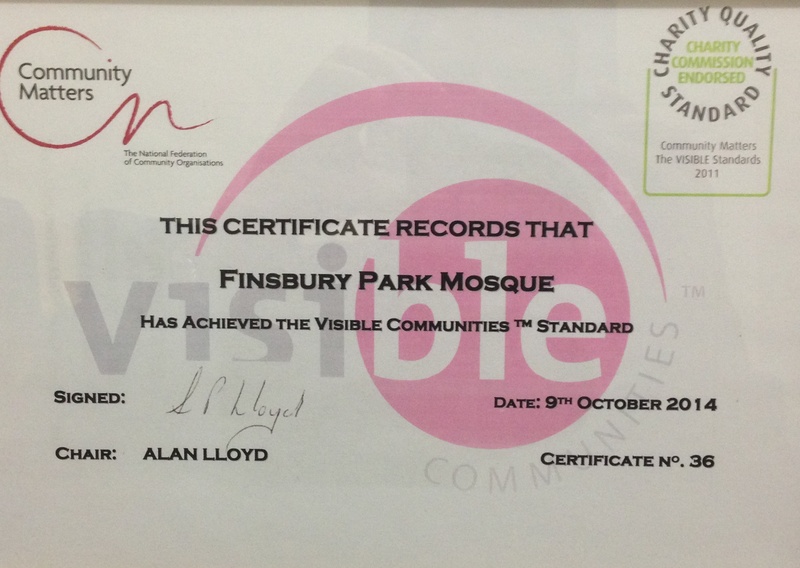 Finsbury Park Mosque has been awarded the “Visible Quality Mark” by Community Matters. The Visible Standards are endorsed by the Charity Commission. Finsbury Park Mosque is the first mosque and the third faith organisation in the country to receive the award. We would like to take this apportunity to thank our stakeholders, partners, staff, volunteers and our community in general who without their help and support, we would not receive this award.